This morning BMC has revealed 2 new Shimano STEPS powered eBikes to join the Speedfox range. The new Speedfox AMP Alloy Four and Speedfox AMO Alloy Five feature an all-new 130mm travel aluminium frame with integrated battery, and run on a Shimano STEPS E7000 drive system to cut down pricing. BMC Speedfox AMP Five. New budget alloy eMTB. The entry-level Speedfox AMP Five takes the cost-cutting initiative to level 11 and comes supplied with a standard seatpost, there isn’t even a QR, an entry-level X-Fusion O2 RL rear shock and wallet-friendly RockShox Recon RL eMTB specific suspension fork. The BMC Speedfox AMP Four gets a dropper and upgraded suspension. Riders wanting to benefit from the cost-friendly alloy frame but who prefer a slightly higher level of kit can opt for the Speedfox AMP Four. The Four uses the same alloy frame and Shimano STEPS E7000 drive system but gets a 150mm X-Fusion Manic dropper post, RockShox Monarch RT rear shock and Revelation RC eMTB fork as standard. The AMP Four also gets a mix of Shimano SLX and XT components too. Both bikes roll on 29in wheels like the more costly carbon models in the BMC range, and both feature the same APS suspension platform and integrated features. 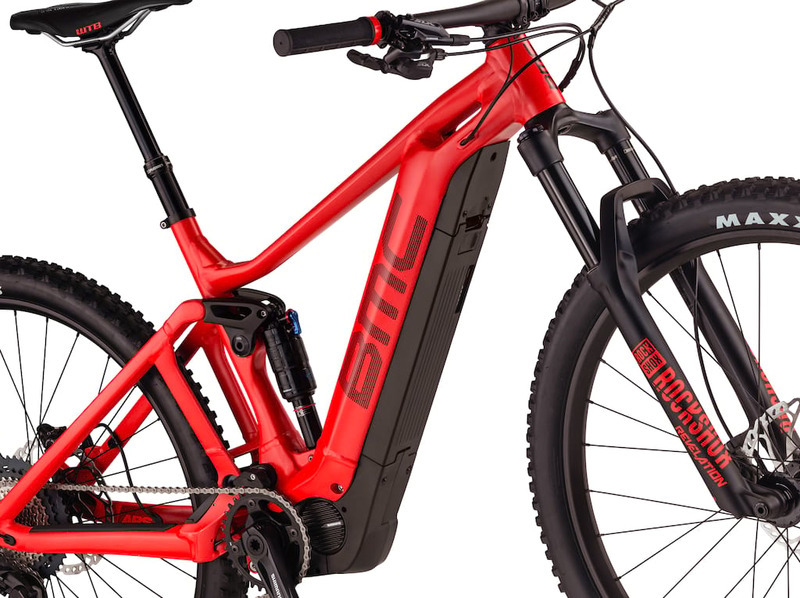 Grenchen, Switzerland February 4th, 2019 – BMC welcomes two new e-MTBs into its trail family: the Speedfox AMP FOUR and FIVE. These trail-ready e-MTBs feature an all-new, lightweight, aluminum frame for the perfect combination of durability and versatility. 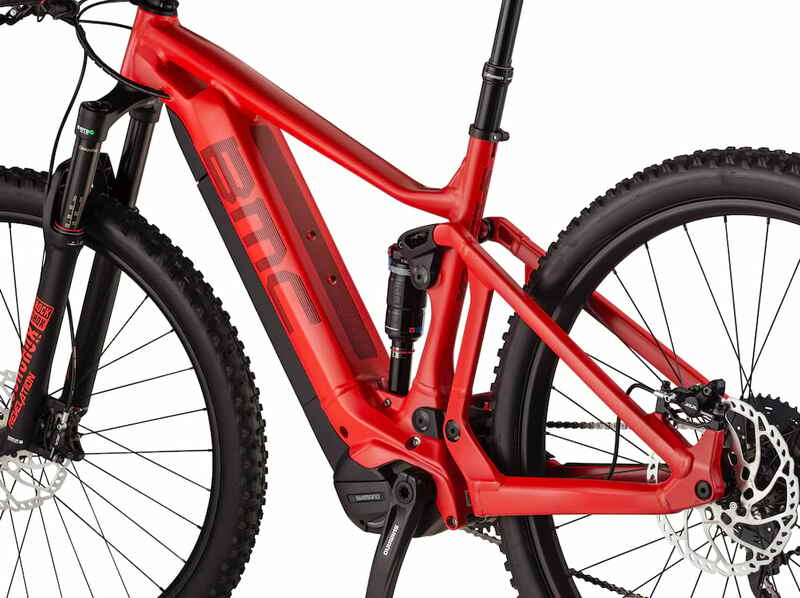 The e-MTB-tuned APS suspension is engineered to be super-efficient while climbing, yet supple and fully active on singletrack descents to deliver the on-trail performance BMC mountain bikes are known for. 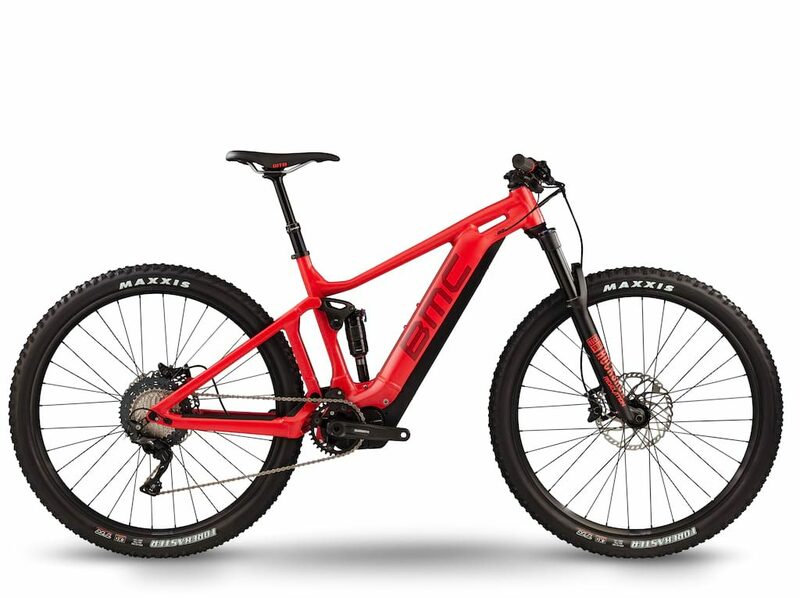 Featuring 29″ wheels, 130 millimeters of front and rear travel, and e-MTB-specific geometry, the Speedfox AMP is an ultra-capable machine equipped to deliver a one-of-a-kind trail riding experience. BMC’s refined Big Wheel Concept and a comprehensive approach to geometry and component selection, which enhances high-speed handling and control on technical terrain. Engineered to feel at home on every trail, the Speedfox AMP FOUR and FIVE are equipped for singletrack adventures, long days on the mountain, and just plain fun. The efficient and quiet Shimano drive unit complements the versatility of the Speedfox AMP. Whether powering up a climb, negotiating tricky turns, or on smooth, flowing trails, the bike’s low center of gravity and lightweight feel translate into intuitive handling. The powerful motor engagement is smooth, and the level of assistance can be selected according to your riding style, the gradient of the climbs, and the day’s conditions. The Speedfox AMP features a slack head angle and a generous reach to improve stability, while short chainstays deliver agile handling. BMC has optimized the bottom bracket drop for a low and centered riding position, which boosts control and stability at speed. BMC engineers have tailored the Advanced Pivot System (APS) suspension for e-MTBs and applied it to the new aluminum Speedfox AMPs. The recalculation of APS kinematics, pivot placement, and leverage ratios combined with an e-specific shock tune to give the Speedfox AMP FOUR and FIVE their trail bike attitude. BMC’s uniquely integrated drive unit covers perfectly blend the battery and motor into the alloy frame design. 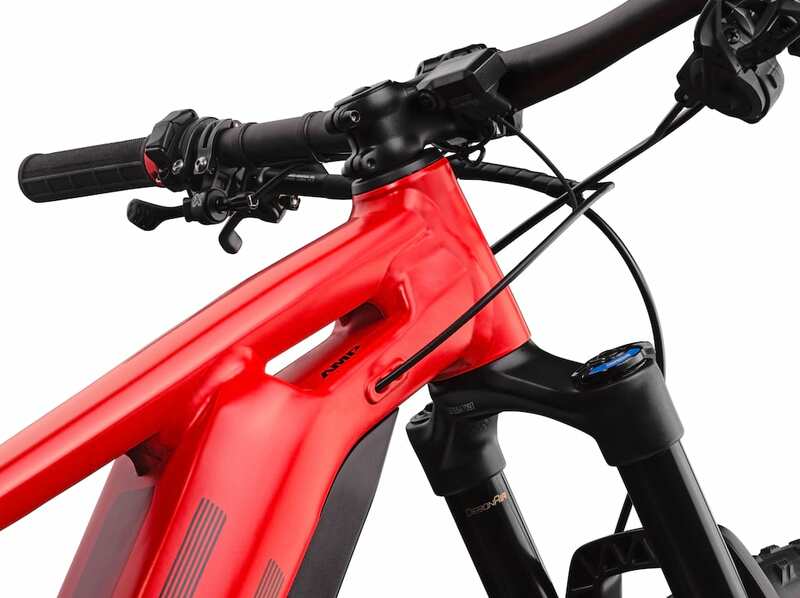 Additionally, integrated speed sensors in the rear triangle make wheel changes quick and easy, while the molded in frame and seatstay protectors keep unwanted noise to a minimum when riding rowdy terrain. The new Speedfox AMP FOUR and FIVE are available in sizes small, medium, and large. They must be so cheap that they’re free, PRICING?! BMC and cheap? Does not compute.